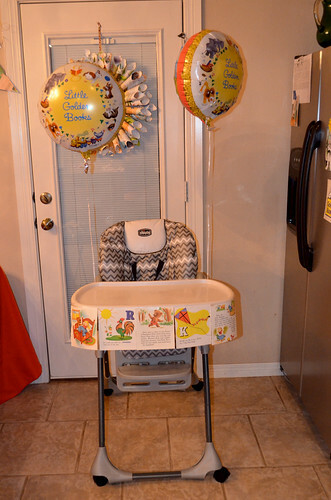 We celebrated our baby boy's birthday this past weekend and it was so very special. He doesn't turn one until Thursday (I'm trying not to think about it! ), but we partied hard on Saturday. It was the sweetest little party. 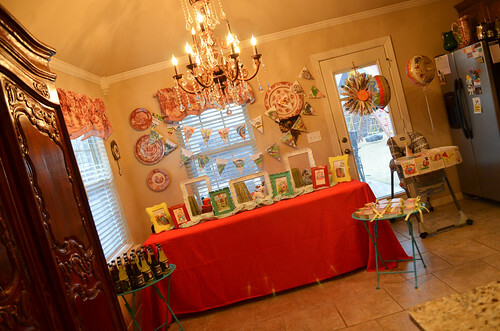 There is something so special about 1st birthdays, so the party was extra fun for me to plan. For 1st birthdays, we do family only and this year we had a small gathering with all of Ezra's grandparents, great grandparents, aunt, uncle and cousins. My boys are so fortunate to have so many grandparents (4 grandparents and 5 greats) and I LOVE having them all together in one place to celebrate my babies. 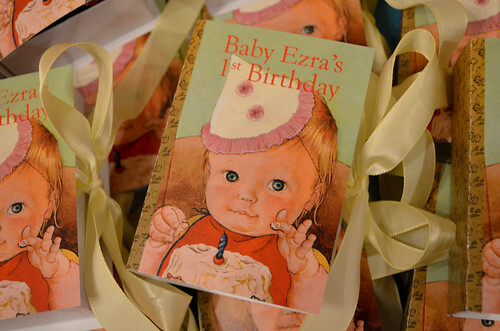 I was brainstorming Ezra's party several months ago and thought it would be super cute and fun to do a Little Golden Books party. I had never seen it done before, so I was up for the challenge of doing something totally new! 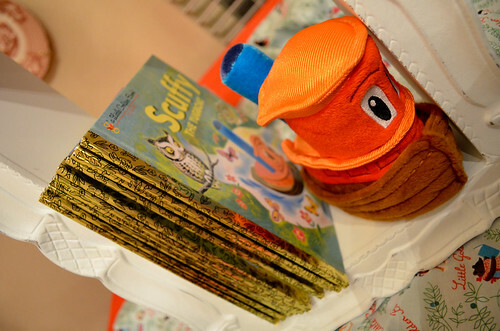 What sparked my interest in a Golden Books party was the back of the books. I'm in love with the backs and the gold spine. 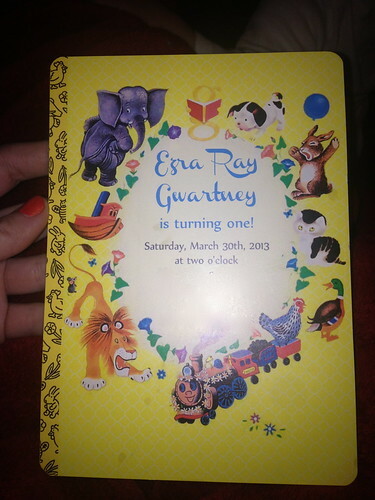 The invitations looked like the back of one of the books and I just started to work around that. I just think it screams "baby"! So fun! 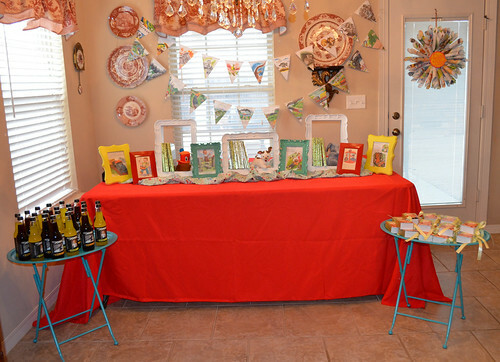 And here we go .... and overload of party detail photos! When you walked in, you were greeted with this. 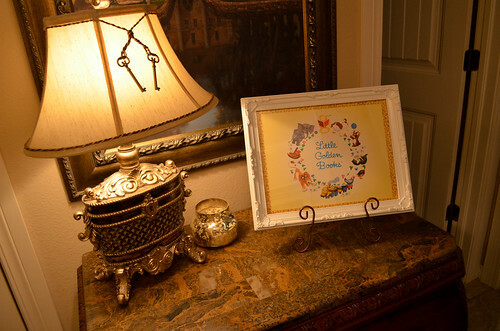 This is actually a cheap paper placemat that I ordered from a party supply store, and then I just framed it! 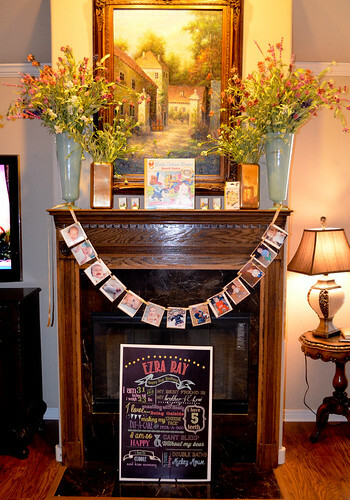 Then when you walked into the living room, the mantle and fireplace was a tribute to my little angel. 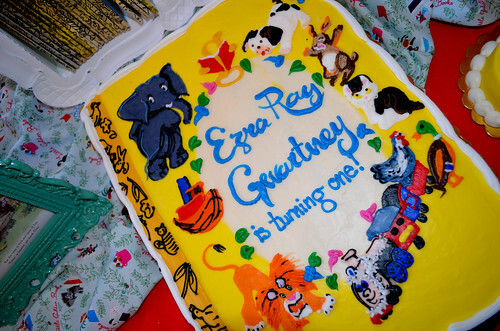 This banner is a photo of Ezra every month from newborn to now. 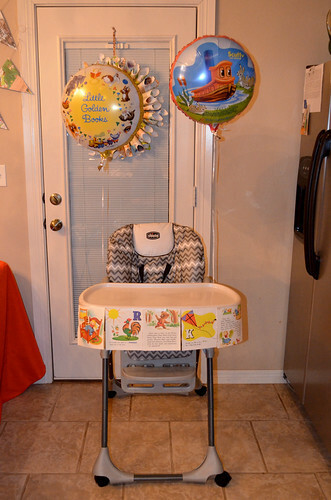 That precious banner and the "all about Ezra" board below were my favorite details of the party. They are priceless to me! Both of those were Esty finds. I do not know what I would do without Etsy sweet Etsy! 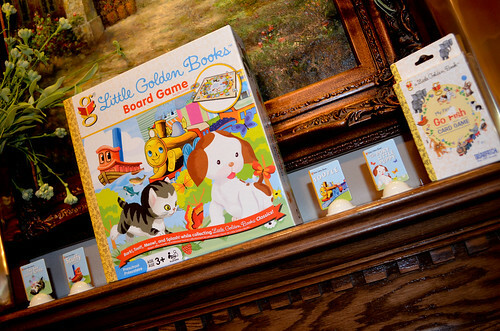 And then I placed a Golden Books board game (who knew those existed) and vintage Golden Books Go Fish cards up there. Fun! Moving into the kitchen is where the decor exploded! Birthday fun all around! This table was SO fun and SO cheery! 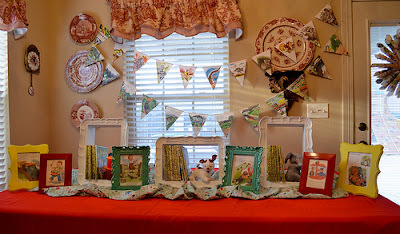 One of my favorite party tables yet! 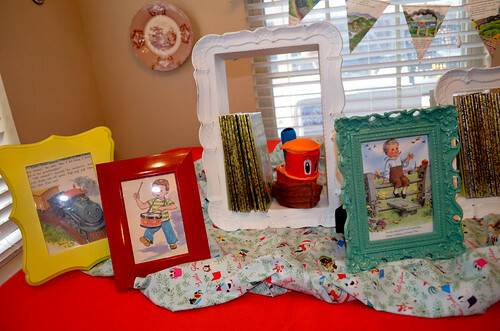 For the table, I gathered all the Golden Books we had, plus some that were mine when I was little, and then bought some more and decorated with those. The white things are what we think are shadow boxes (maybe?) from Hobby Lobby. I'm not sure what they are, but they worked beautifully as little book shelves. I found the cute little GB stuffed animals on Amazon. Ezra LOVES these stuffed animals. So cute! 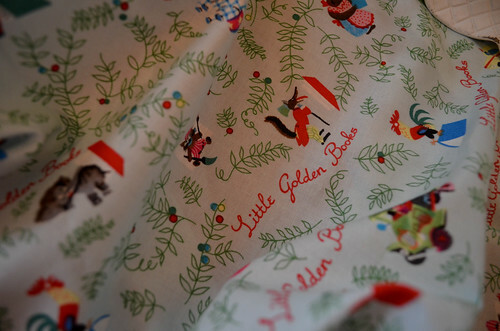 The clouding on the table is Little Golden Book fabric. Adorable. 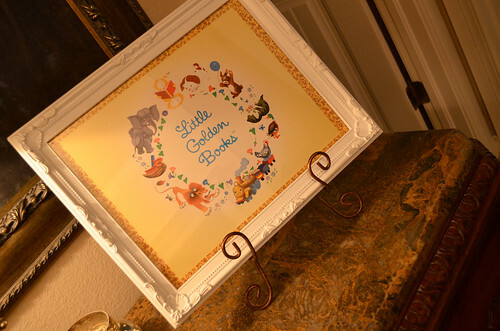 I found a listing on Etsy (surprise, surprise) for 50 individual Golden Book pages for $5. I snatched those up and hoped some would be fun to frame. There were so many good ones I had a hard time deciding which to use! 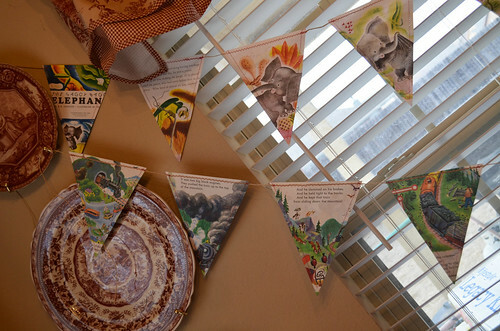 The banners behind the table are made from Golden Books and each one tells a whole story. In LOVE! 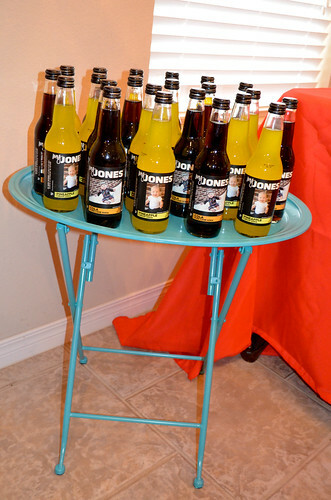 I ordered personalized Jones sodas like I had done for Levi on his first birthday. 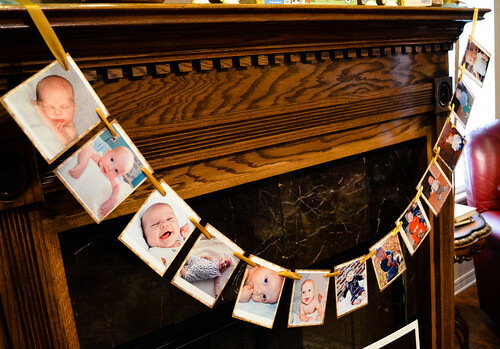 Such a great keepsake, and a great party favor. And then these little treasures were just the cutest thing in life. 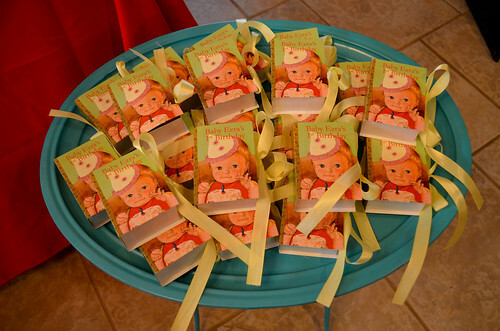 Personalized little Golden Book boxes!!! The cover of this is from the very old Golden Book "Baby's First Birthday". 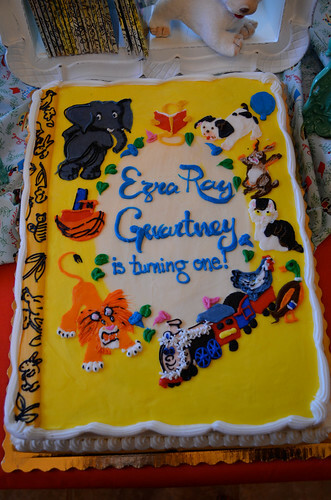 I had her customize the name to Baby's Ezra's First Birthday. Love! It looked just like a Little Golden Book. We tucked little Godiva chocolates inside. Yummy! Another favor was a bookmark. I thought that was appropriate for the theme of the party. So sweet. I love that little saying. Makes me teary. 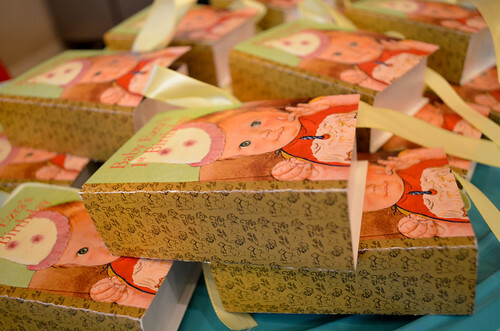 The children had little boxes filled with animal crackers and cookies and their own personal Make Your Own Golden Book!! And the plates matched the theme. 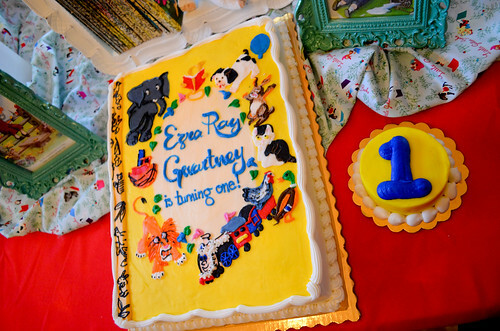 The cake was absolutely amazing! I brought his invitation to a local bakery and asked if they could recreate it for me on a cake. Boy did they do an awesome job! That's his smash book next to it. LOVED IT! This party was an absolute blast to plan. I was so happy with the way it turned out. It had a very vintage, sweet, babyish feel. It was presh! Check back tomorrow for PARTY PICS of my little angel boy! What an awesome idea! We had my sons first birthday last Saturday too. He turned 1 on Easter Sunday. 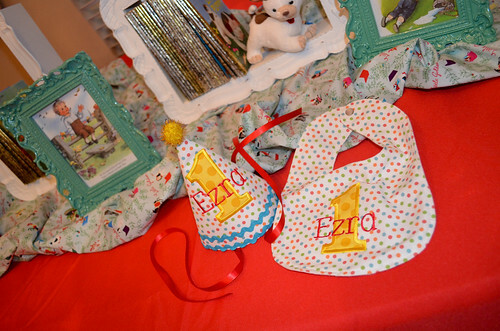 Did you order his birthday hat and bib from the etsy shop Dainty Coutoure? That's where I ordered Bennett's from and it's so cute! 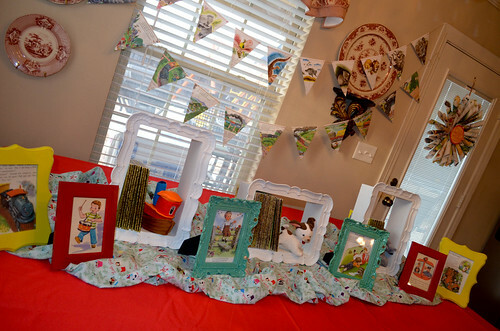 This is the cutest idea I have ever seen for a party...love it! Seriously adorable. I loooove the triangle banner that tells a story. 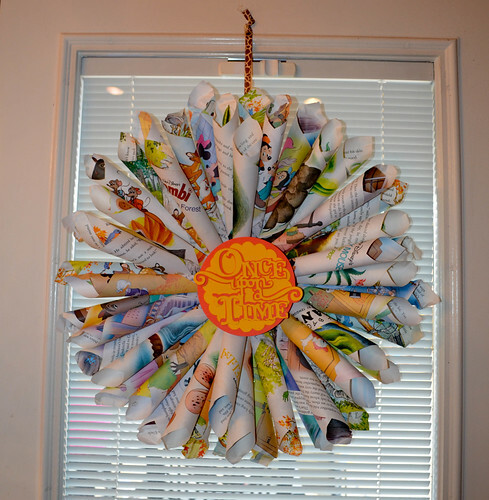 That would be perfect in a nursery or play room too. 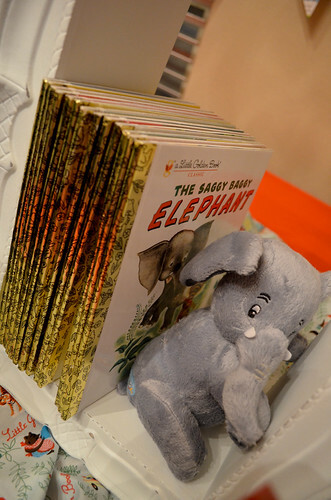 We are obsessed with Little Golden Books at our house! I didn't know you could get the plushes! 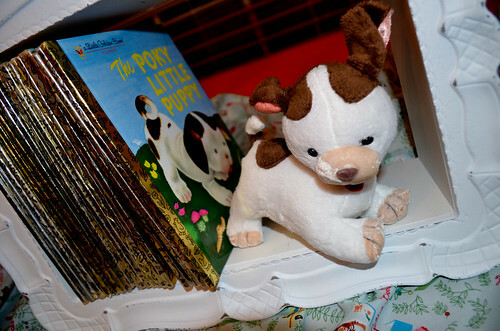 I am amazed at all the Little Golden Books items you found. 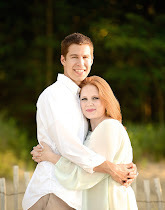 Everything turned out fantastic!! 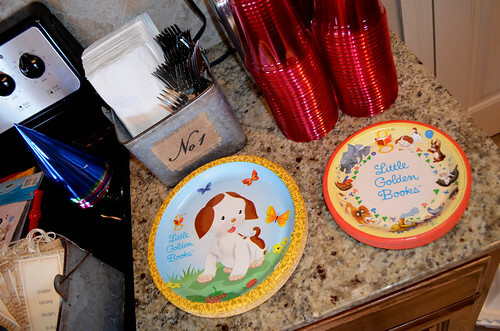 I'm in love the the book party favors with the little baby on the cover. Love, love, love! 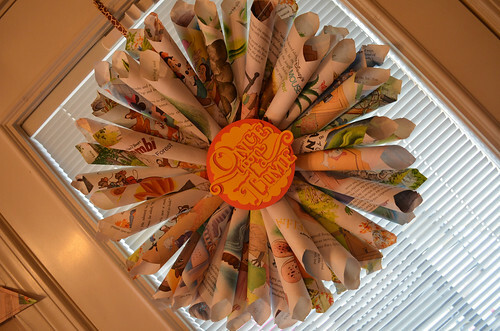 This would also make an awesome nursery. Especially for someone having boy/girl twins. The possibilities are endless. WOW...you plan the most amazing parties. Simply adorable!!! I love it! 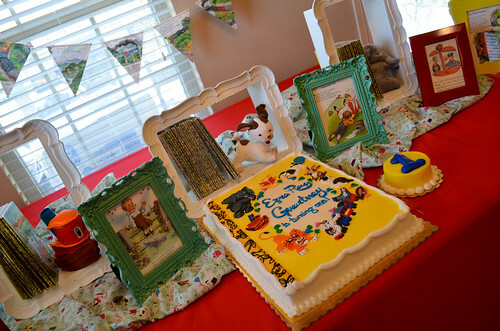 I used the same theme last month at my little boy, Langdon's 2nd birthday. 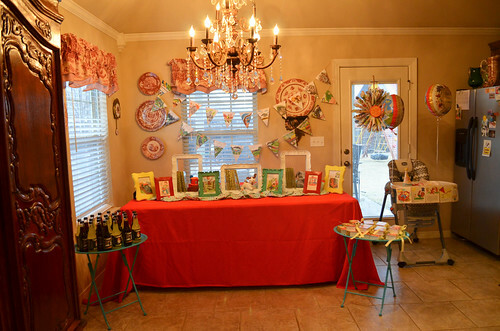 It was fun to plan a special and uniquely themed party. We also gave out bookmarks! Delightful! 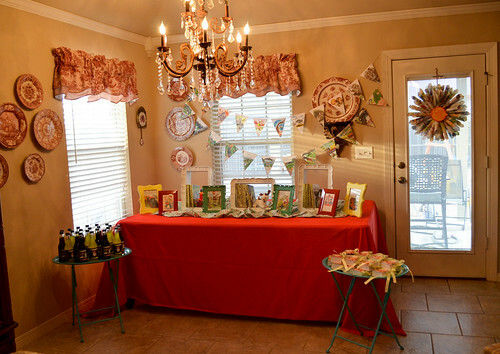 What a perfect theme for a first birthday party and you did such an amazing job (as always!). Your attention to detail is wonderful. 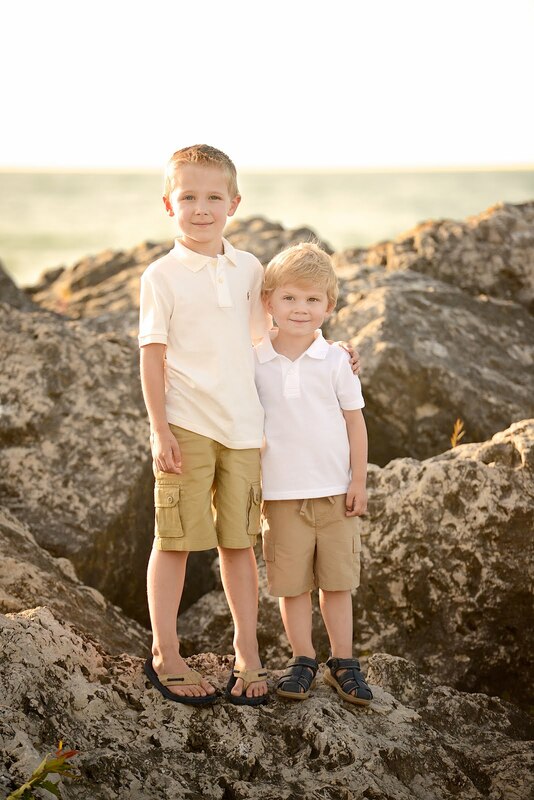 Your little boys will have such fantastic memories. This is so great!! 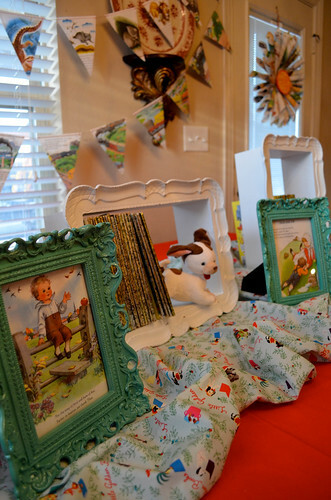 I am planning our son's Golden (2nd) Birthday and am using the theme of Little Golden Book as well. 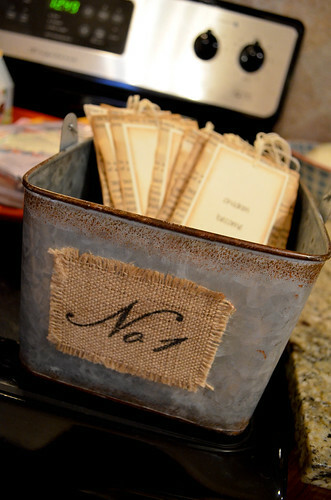 Where did you find the little personalized favor boxes? 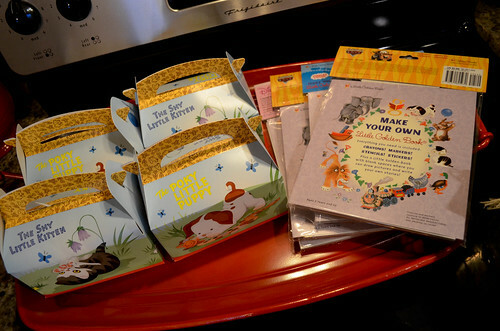 Also, were you able to find a great deal on the "make your own little golden book"? I have looked on ebay and amazon, but can't find a good deal. 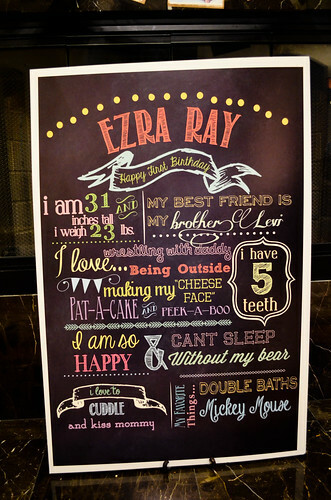 I loved the board with all of his info...did you draw it yourself and had the idea from Etsy? Or, did you order it from Etsy? Any info would be great!!! It's so much fun planning parties for little ones, isn't it? Love this theme and all that you did with it! 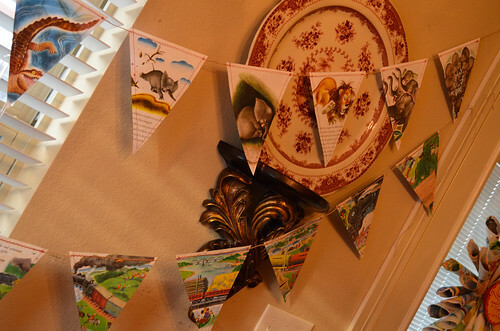 I am actually planning my daughter's first birthday and using this theme because she loves books!! 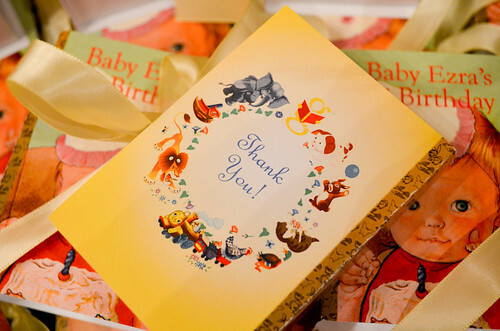 Where did you find the little boxes that say "thank you" on the back? 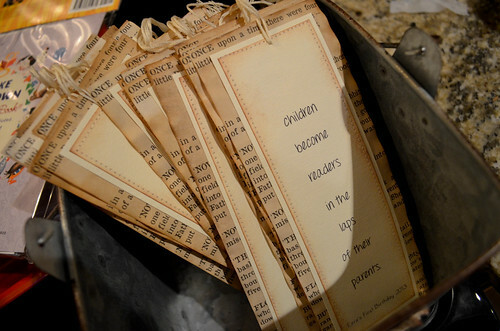 Also, where did you get the bookmarks, or did you make those? 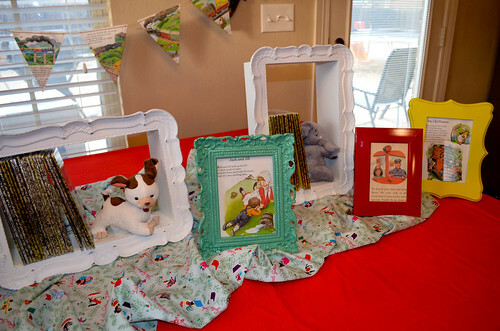 I know that this party was a long time ago now but do you remember where you got the fabric for "little golden books?" I've been searching and not been able to find.